Those who are already familiar with online poker are well aware that there are a number of unique games to choose from. Still, some will overlook a handful of potentially lucrative options if they are not careful. One example can be seen in poker freeroll tournaments. Not only are these competitions an immense amount of fun, but they are associated with a handful of benefits that you would not normally be able to encounter. Let us examine the principles behind these free poker tournaments before taking a quick look at some of the most potent tips and tricks. You might already suspect the basic notion behind this type of tournament. As opposed to being required to place a certain wager (in cash) before accessing a game, poker freeroll variants are free to enter. Having said this, we should also note that every one of these competitions will normally be associated with some type of deposit. This can be in the form of credits or tokens. Still, there is always the possibility to earn real cash rewards if you happen to play your cards right. 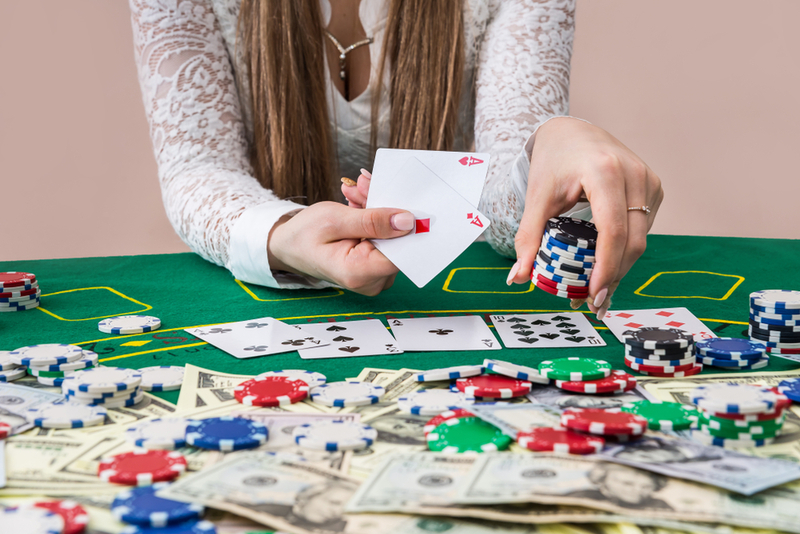 Why is This Type of Online Poker Offered by Casinos? Is it logical to provide a player (or a number of players) with potential cash payouts if they are not asked to deposit physical funds? You might be surprised to learn that there are very sound reasons why this might take place. Poker freeroll tournaments are often publicised in order to promote a new game (much like a free sample of a product within a supermarket). The theory is that those who enjoy the competition will be more likely to deposit additional money in the future. There are also times when this type of tournament might be offered to VIP players and other competitors who may have reached a certain level in terms of their earnings. Once again, the intention is to entice them to participate in additional events. This is particularly effective if they happen to win a small sum of money. Will You Need to Adjust Your Strategy? From a very basic level, your strategy will normally remain intact. The winning hands associated with freeroll poker are the same as those that would normally be encountered within traditional competitions such as Texas Hold’em. It is still critical to mention that the sheer number of players will require you to take a somewhat different approach. Let’s now take a look at what strategies tend to produce the best results when participating in such competitions. These tournaments can be slightly tricky when compared to their traditional counterparts. The first thing to remember is that you should be prepared to take losses (of course, these are not monetary). The sheer number of players dictates that actions can often be unpredictable. Luck will play an important role. As opposed to some versions of normal poker, remain very tight with your cards at the beginning. Many players will place all of their chips within the pot hoping for short-term returns. As they are not wagering their own money, this approach makes sense to a point. However, the big winners will focus on the long haul as opposed to a one-off victory. Some tournaments can take a number of hours to complete. This is when endurance and longevity come into play. Be prepared to remain attentive and alert as the gameplay progresses. The ultimate goal is to “weed out” those who do not possess the acumen or the skill to make it to the final rounds. If you are able to ascend to this level, your chances of winning will be dramatically increased. Above all, keep emotions out of the equation; especially during the later rounds. Anger and stress can be your worst enemies and they will often lead to poor decisions. Never forget that you are not wagering any personal funds. Unlike standard online poker, there is literally nothing to lose in regards to these free poker tournaments. Are Poker Freeroll Tournaments Right for You? These competitions can be excellent ways to hone your skills and there is always the potential to add a handsome payout to your current bankroll. If you have the time to spare and if you are hoping to leverage your experience, why not give them a try? Freeroll poker is here to stay and you will not be disappointed!